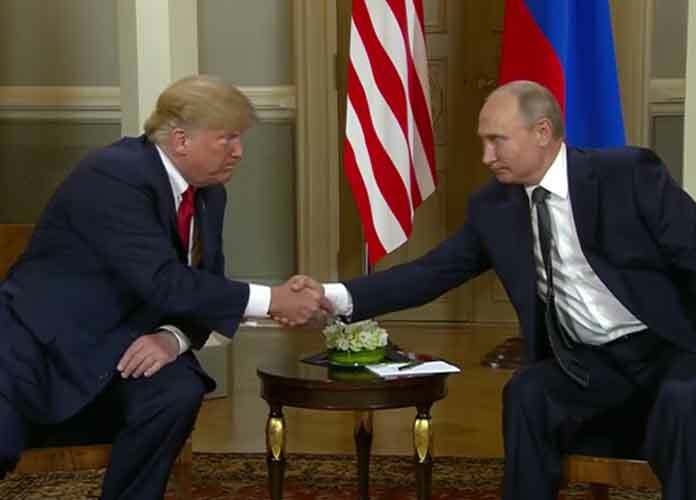 President Donald Trump secretly met with his Russian counterpart Vladimir Putin in November during the G20 summit “with no translator or note-taker from the U.S. side to record the dialogue between the leaders,” according to the Financial Times. The two originally planned a formal meeting, although Trump cancelled it after Russia attacked three Ukrainian vessels in the Sea of Azov. The White House conceded that Trump had an “informal” conversation with Putin, implying it was one of many incidental meetings he had with foreign leaders that evening, but it hadn’t mentioned that Trump himself was the only White House staff member present for it. Moreover, their conversation “appeared longer and more substantive than the White House has acknowledged.” Reportedly, the only other people to attend their meeting was First Lady Melania Trump and one of Putin’s translators. It’s common practice for U.S. leaders to have an aide with them when meeting with hostile world leaders, but Trump’s handling of this matter will be a challenge for his own officials when it comes to conducting their policies regarding Russia.